Bret’s roots began digging through the crates of Higher Source Records in Huntington Beach in the late 90’s. His hard work, loyalty, and dedication to the music & the craft has made him a staple in the Los Angeles Underground House Music scene. He is the founder and curator of LA’s most beloved family friendly events, “re:love” which take place once a month in the various parks throughout Los Angeles. “re:love is a demonstration of the positive energy created when music, dance & dynamic social interaction are in harmony” says Bret; and it shows every month when re:love is in session with upwards of a thousand partygoers from all walks of life in attendance. 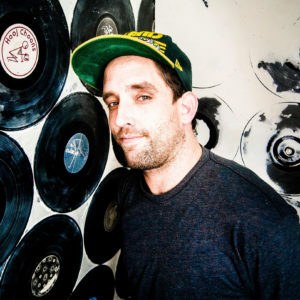 Besides curating all the re:love events, Bret’s residencies include “Slinky Family Gathering” held annually in the Seqouia National Forest, as well as a resident with LA’s staple Deep House label “Good for You Records” Among various other projects and collaborations held throughout the year.